Diabetes is a difficult health condition for Pinehurst, North Carolina residents. 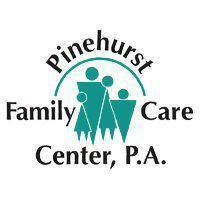 However, it can be managed very effectively with the help of the experienced team at Pinehurst Family Care Center, P.A. Diabetes is a metabolic disease in which the body is unable to effectively process food to use it as energy. When the pancreas is healthy, it releases insulin into the blood regularly. That insulin plays an integral role in processing the sugar and fat from foods. A person suffering from diabetes doesn't make enough insulin, makes no insulin, or has insulin that doesn't work properly. The lack of insulin means that foods are not processed properly, and this can make a person extremely ill. Untreated diabetes can even result in death in some cases, so diabetic patients should work closely with their doctor to make sure they stay healthy. There are two basic categories of diabetes, type 1 and type 2. Type 1 diabetes typically occurs in younger people (usually age 30 or under). People with type 1 diabetes do not produce insulin. While type 1 diabetes cannot be prevented, it can be managed with insulin therapy, regular exercise, and proper nutrition. Type 2 diabetes is far more common than type 1 diabetes, and it can be prevented in most cases. Type 2 diabetes sufferers do produce insulin, but the insulin does not work properly. This type of diabetes occurs in people of all ages and is often seen in obese people. People who are pre-diabetic (those who have elevated blood glucose levels but not to levels to diagnose diabetes) may be able to prevent diabetes by getting half an hour or more of exercise 5 days a week and eating a low fat/low carbohydrate and reduced calorie diet. Type 2 diabetes may be managed with lifestyle changes but frequently requires oral medication or insulin as well. How Can Diabetes be Recognized? Type 1 diabetes sufferers may have constant thirst, dry mouth, increased frequency of urination, sudden unexplained loss of weight, and vision problems. Type 2 diabetes may have less noticeable signs that increase over time. These signs include vision problems, inability to heal from wounds normally, itching in the groin, recurring yeast infections, extreme thirst, dry mouth, and increased frequency of urination.